Toast racks. Those boring , non essential kitchen items you only really see in hotels, right? Letter racks. 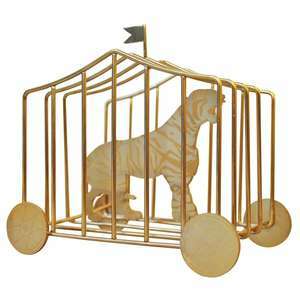 Those boring, non essential homeware items you only see, well, never really, right? Wrong! 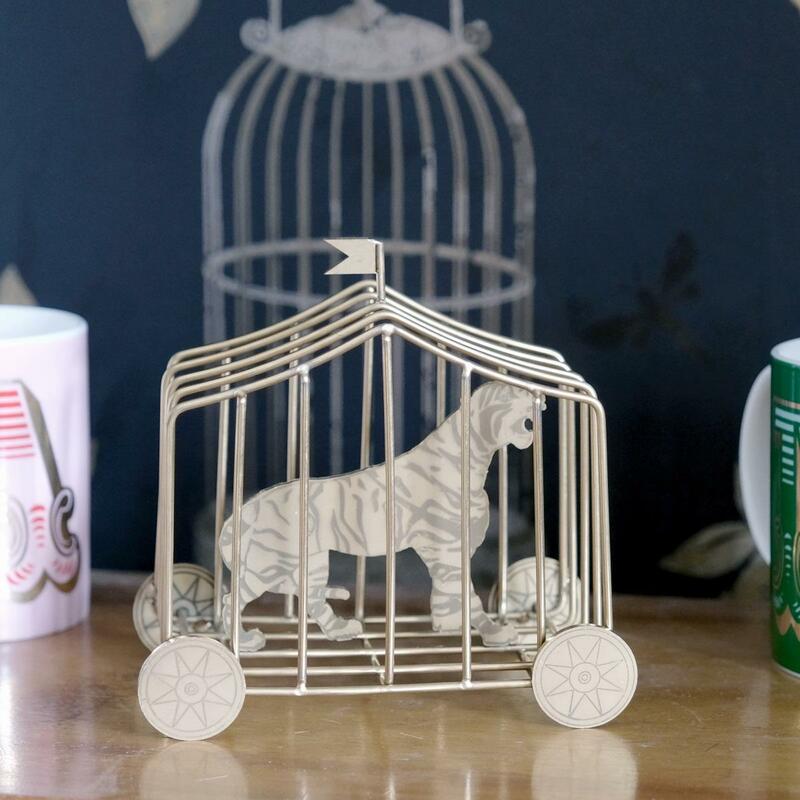 This circus tiger rack is a thing of utter beauty, and deserves to be used in homes up and down the country, regardless of whether you choose toast or letters to sit up right in the rack. 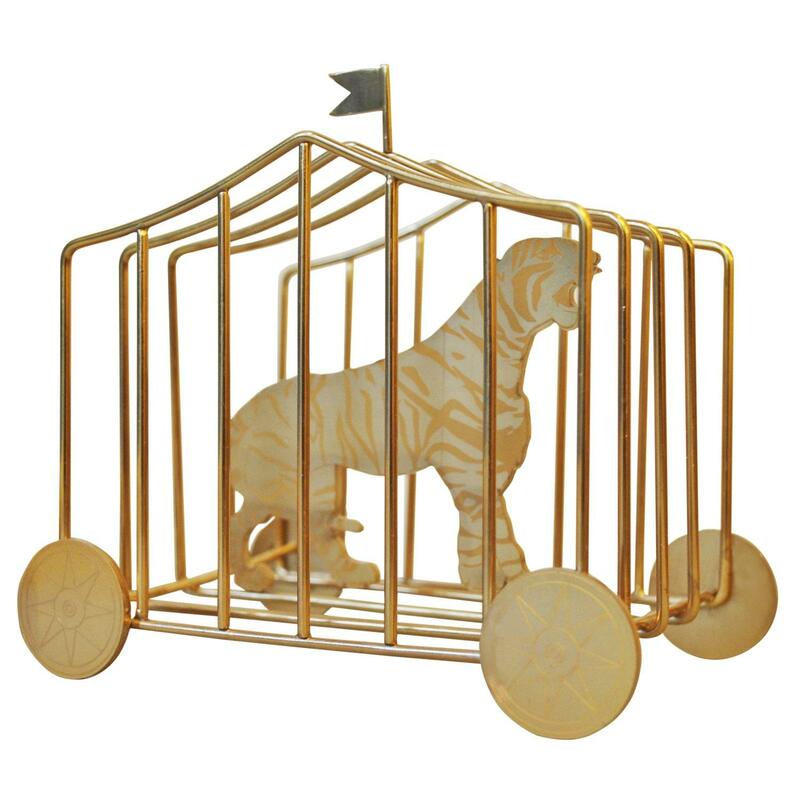 Gold plated, and with a tiger in the middle of it, it gives the illusion of a caged tiger in a circus act. 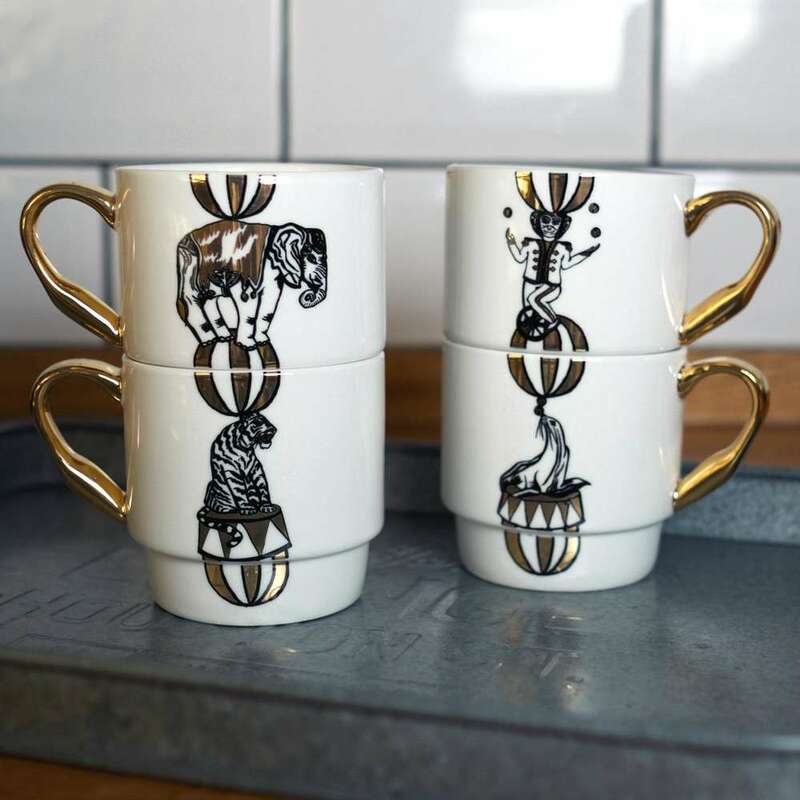 The circus tiger rack, by design studio Maid In China, goes perfectly with our Circus Stack mugs. ? 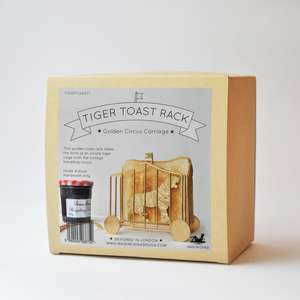 ?The rack measures 14 x 14 x 9 cm and holds four pieces of toast. 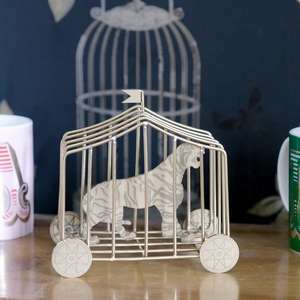 It is packaged in a gorgeous gift box.